Since the Round 1 application deadline for ISB isn't until the middle of October, you still have plenty of time to train for the GMAT and improve. The key word there is "train" though; however you studied before, you now have to make the necessary changes to how you're training to face the GMAT (which will require that you focus on learning/practicing some new Tactics). As I mentioned before though, you will likely have to commit to a consistent study routine for the next two months. You certainly need to up your game in the Verbal section. 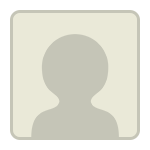 The average score in ISB is around 700-710. To improve to a 700+ score, you will have to improve to a V38+ and a Q48+ score. 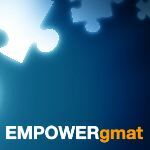 Use the GMAT Planner to fix your Verbal / Quant scores to get to a 700+ score. A score of V25 is around 40%. It clearly indicates that you lack in the core conceptual knowledge for majority of the concepts. You first have to work on the core skills and then learn how to apply the concepts to solve questions of medium and high difficulty. How to improve in the Verbal section? To prepare for the verbal portion of the GMAT, you need to have a very strategic approach. You can only succeed on it when you have the right combination of knowledge of concepts and application. A student should know how to apply the learnt concepts properly to get a good score. In the actual GMAT exam, tricks and shortcuts tend to fail and only students with a proper approach to questions succeed. The course starts from the basics, gives Real Time Feedback (very similar to what a private tutor does.) about the student’s progress and in a Progressive manner goes up to the highest difficulty level of questions. You get Study plan(s) + Strategy to ace the test(through a live webinar/recording) + GMAT Planner (to plan you Verbal/Quant/Sectional scores to reach to your target score with both the courses. With regards to Support during your preparation, you get complete supports any kind of queries (Subject matter + Strategy). In addition to content for Verbal (Sc/CR/RC) , it will also provide you with 1200+ questions on Quant(> 50% of the question at 700+ level). This will help you improve your Quant score to Q49+. 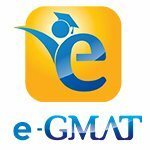 You may contact me directly at support@e-gmat.com for strategy to improve in Verbal and Quant. I can devote 3-4 hours daily and more if required. How should I proceed now, and what all more materials should I use?